By far and away the most commonly used cosmetic treatment in the United States, botulinum toxin A – or Botox – is a protein which is used to help relax certain muscles. This is most commonly used to help remove forehead lines and frown lines, or crow’s feet around the eyes. It’s the most effective treatment on the market for those who want to get rid of wrinkles and make themselves younger than ever before. It’s a popular choice with many people today as it’s become a far more affordable luxury than it ever was in the past – today, many people from various backgrounds get Botox to help themselves feel better and remove the physical signs of aging or a stressful lifestyle. It can be a solution that provides long-term relief from physical attributes about your face that you do not feel comfortable with, removing them by making the muscles more relaxed. RENEW YOUR SKIN! MAKE AN APPOINTMENT NOW! Botox is an effective treatment when done correctly. Our advanced methods have proven results! What causes wrinkles & marks? Many people consider Botox for one reason – to halt the signs of aging. Crow’s feet and other visible marks on the face are something that everyone has to go deal with at one stage, outside of those with the most immaculate diets and healthy, comfortable lifestyles. The marks covered up by using a Botox treatment provide you with proof that you are indeed aging, and for many of us this can be a difficult thing to deal with. If you want to roll back the clock a few years and utilize the effective power of Botox to give your face a whole new style, then we are here to help. Whilst Botox isn’t going to completely alter your facial structure – and why would you want that? – It helps to return a more youthful and exuberant appearance to those who feel like they look a few years older than they should. 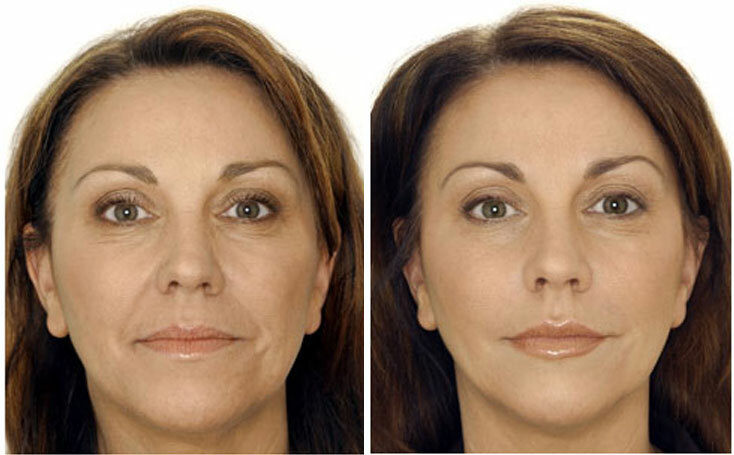 Botox is a treatment predominately for dynamic wrinkles i.e that become more visible upon smiling or frowning. Such as frown lines or smile lines. Injections of Botox are generally given in the areas. Amounts given depends on location and activity. Frown lines usually need more medicine than smile lines. At our office and after evaluation done we estimate the amount that is needed and price it fairly.